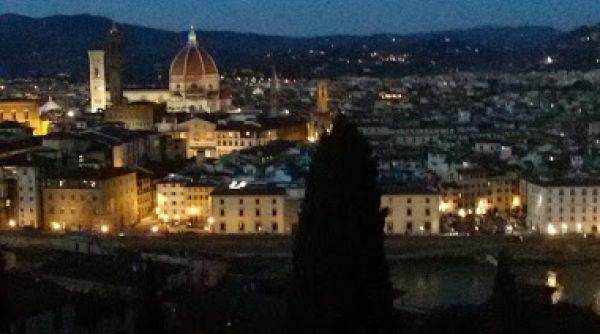 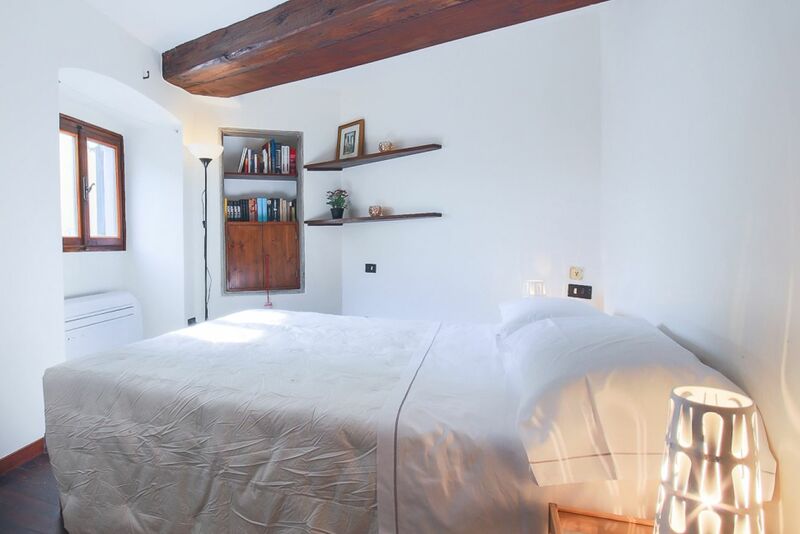 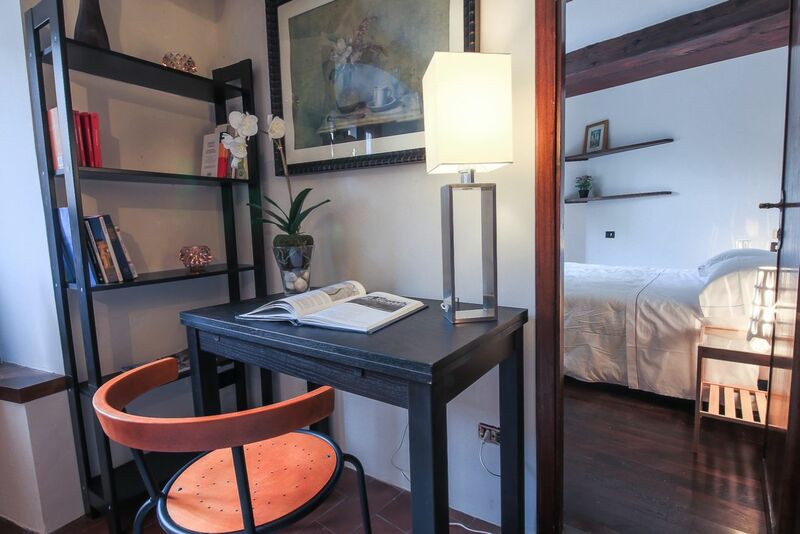 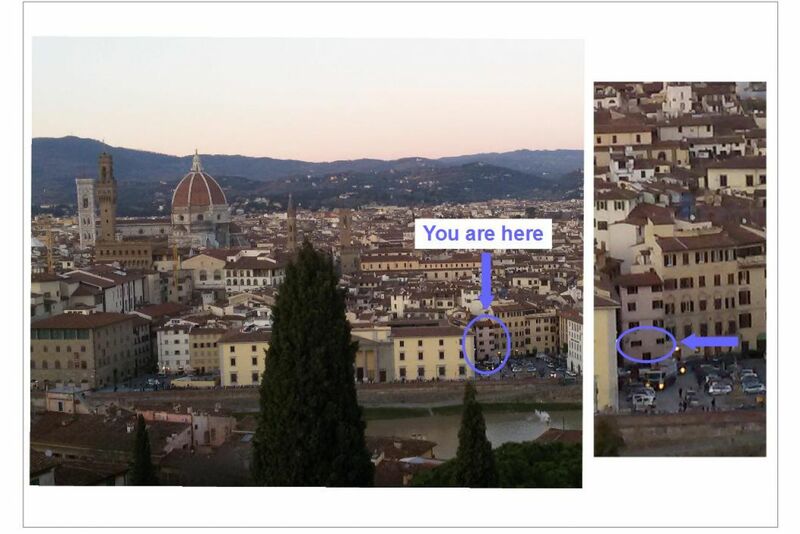 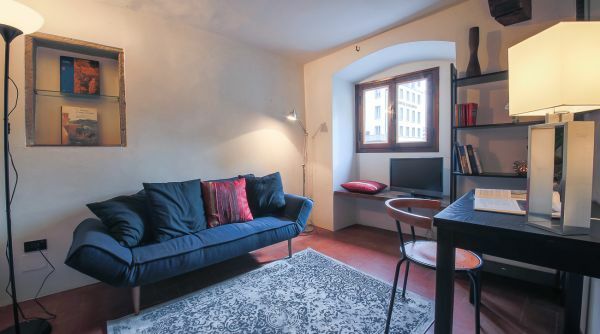 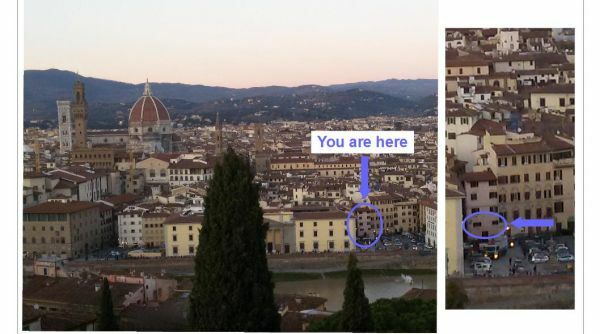 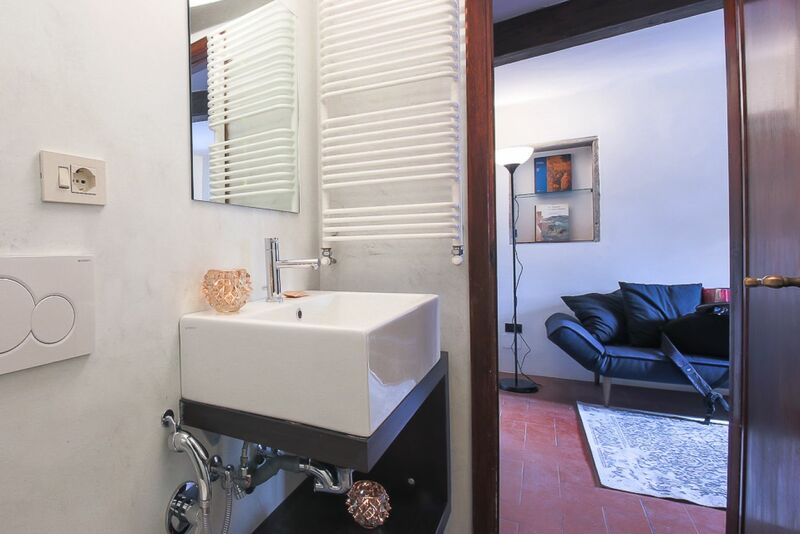 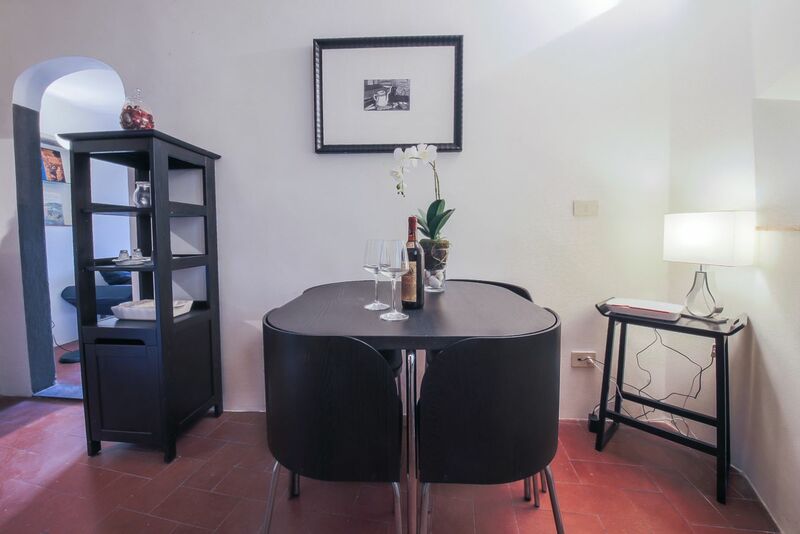 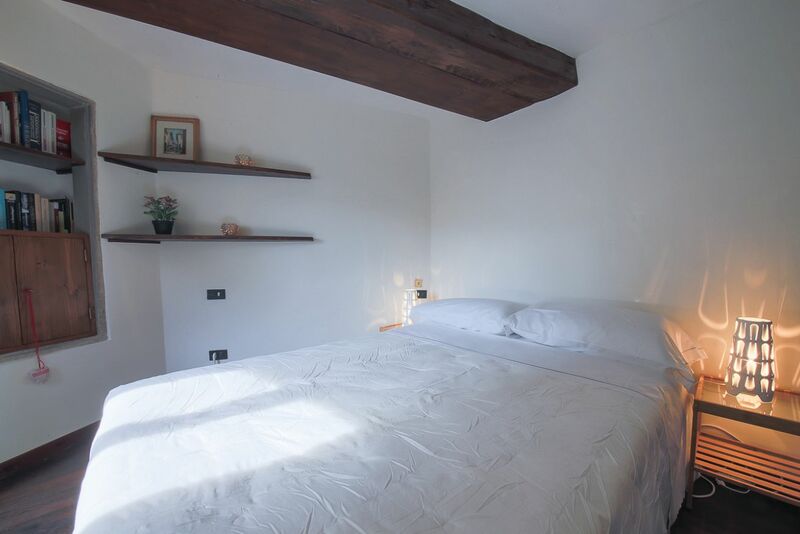 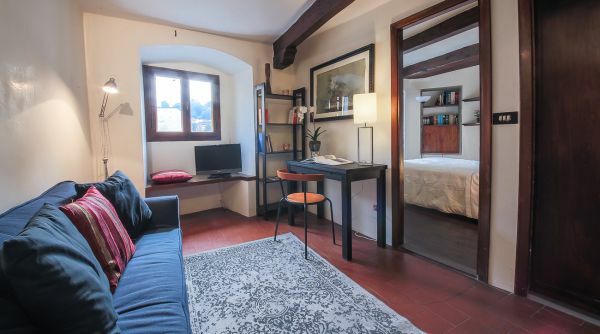 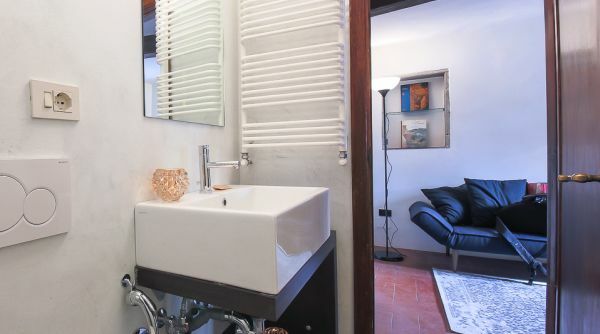 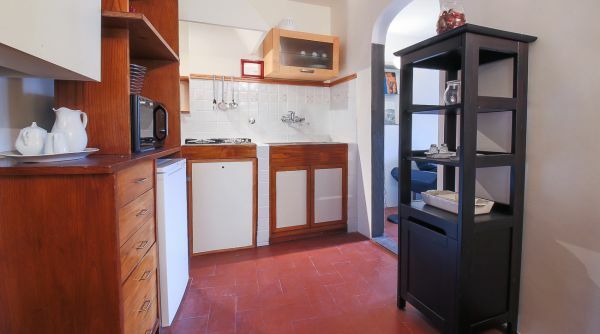 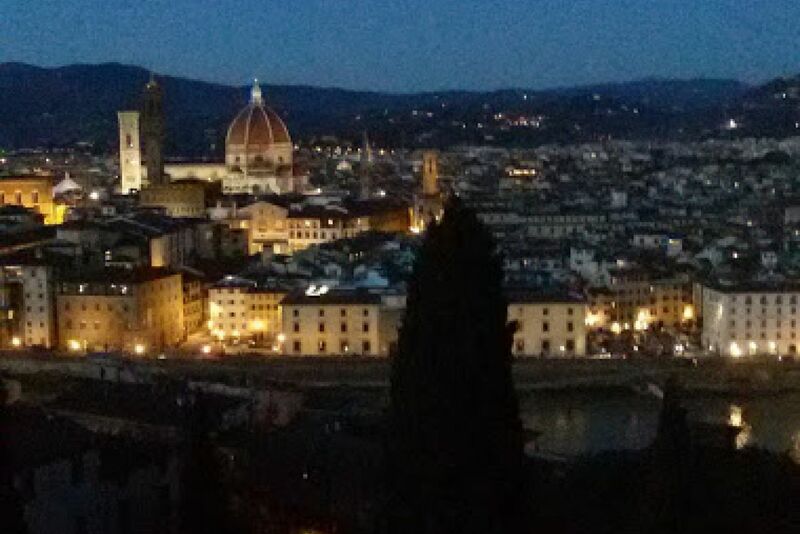 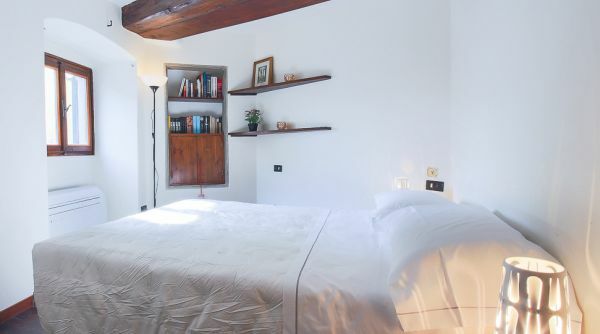 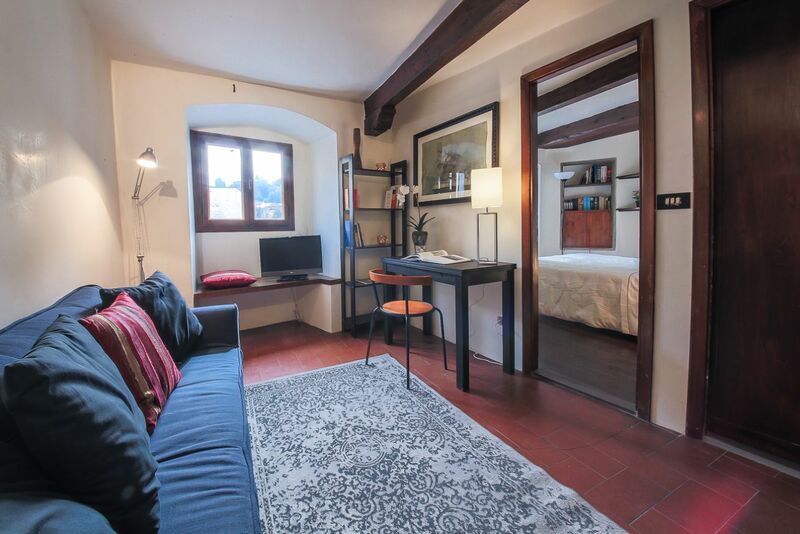 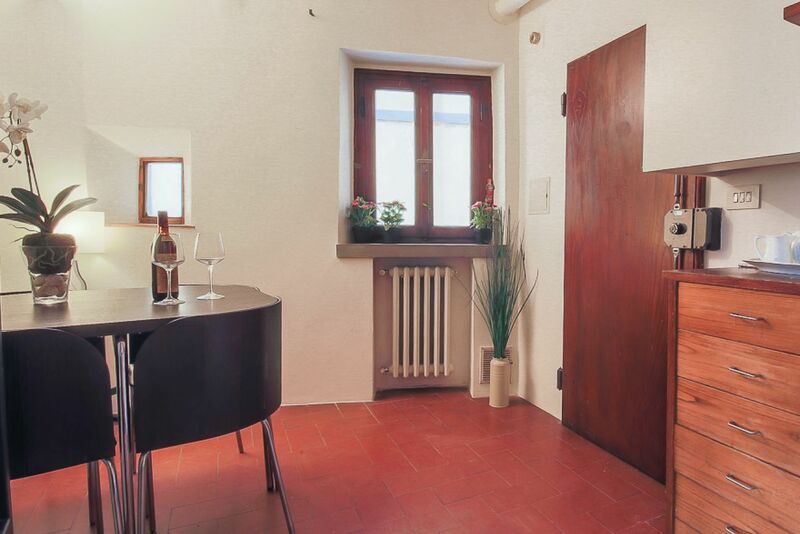 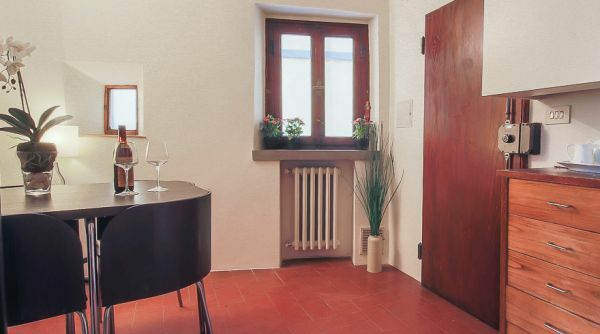 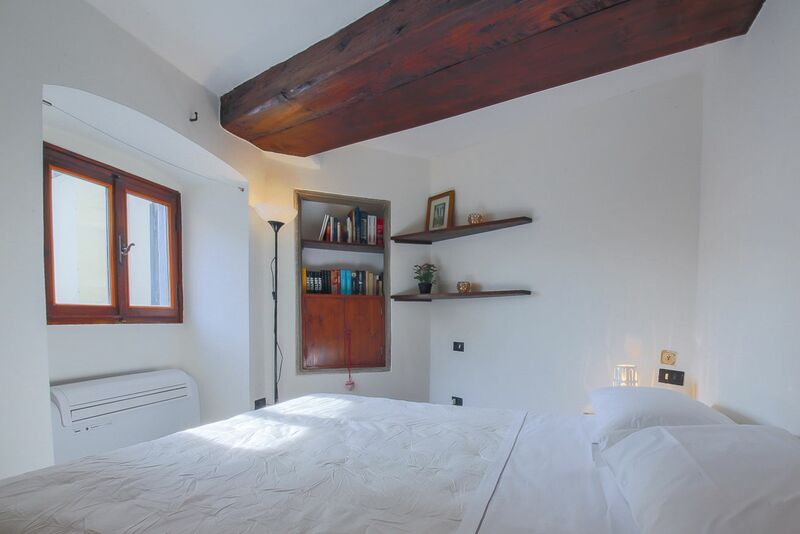 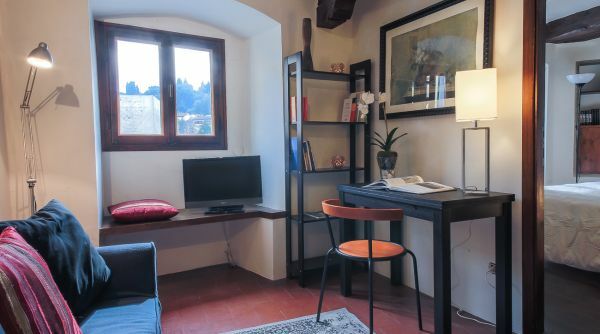 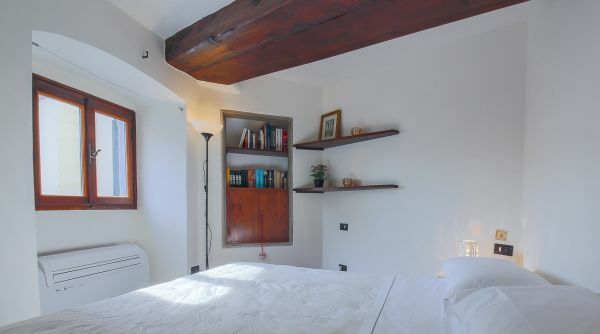 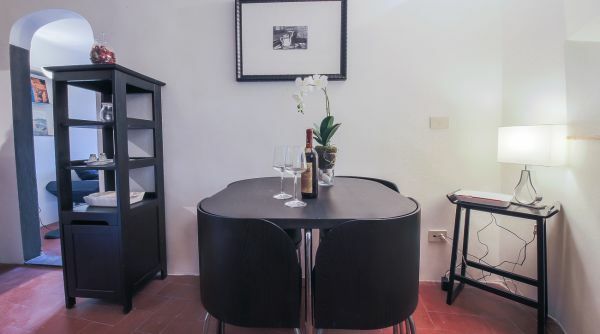 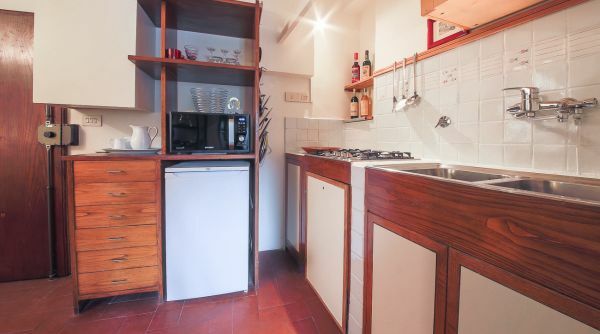 This recently renovated 1-bedroom, 1-bathroom apartment is located right in the very heart of historical Florence. 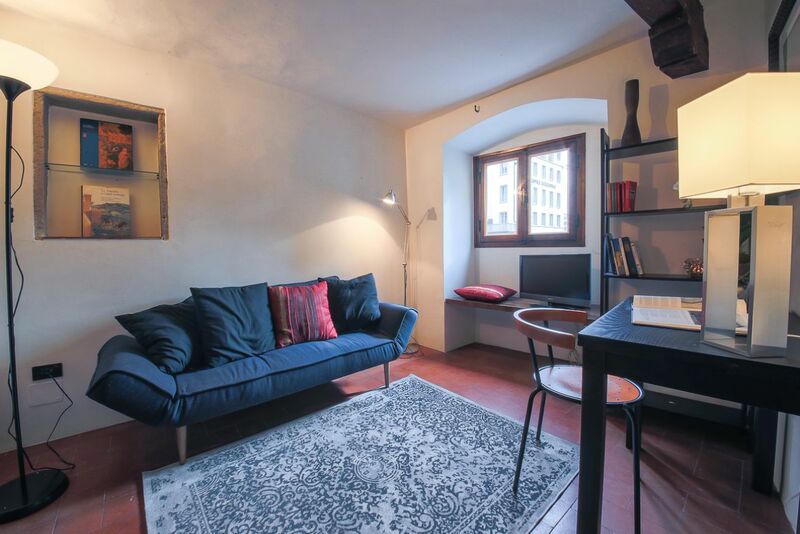 Here you are just seconds away from all the main tourist attractions of the city! 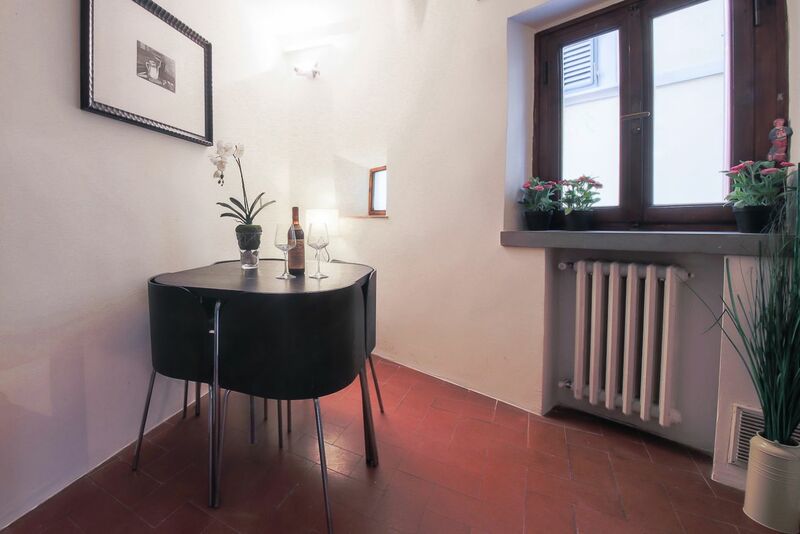 Despite being so central, it is on a quiet street, tucked away from tourist traffic, which provides a peaceful and relaxing atmosphere for guests. 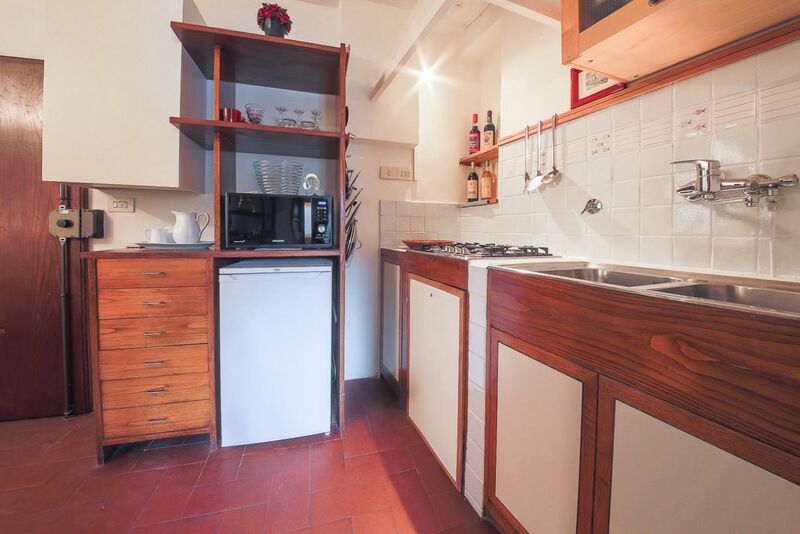 The property is located on a 1st floor with very manageable stairs. 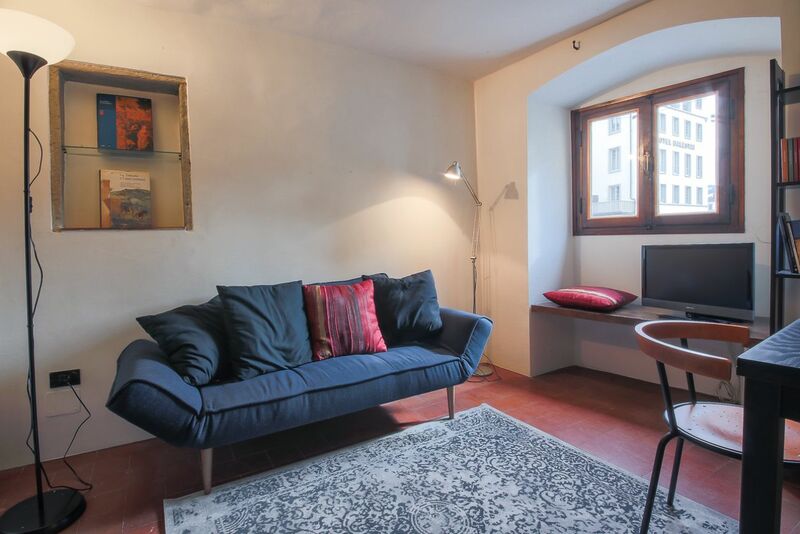 The apartment consists of a kitchen/dining room space, a cosy living room, a bedroom and a completely renovated bathroom. 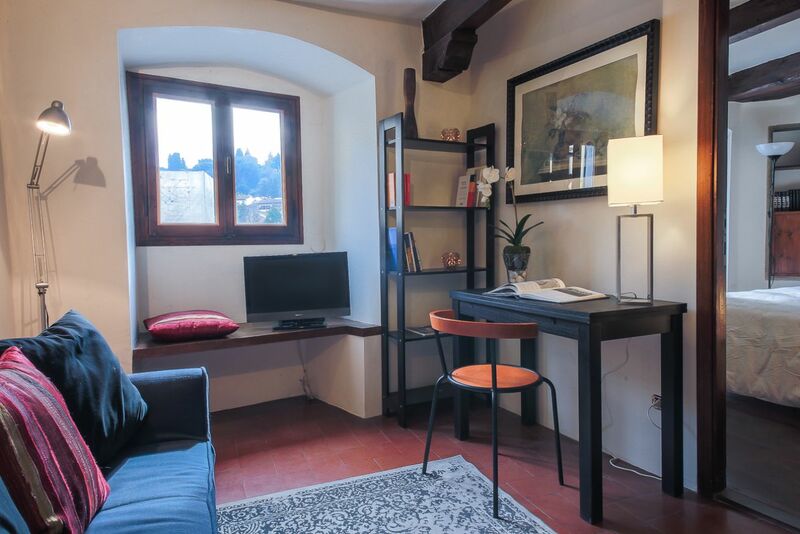 The authentic Tuscan character and style are evident throughout the apartment, allowing guests to cosy up comfortably and enjoy the traditional atmosphere. 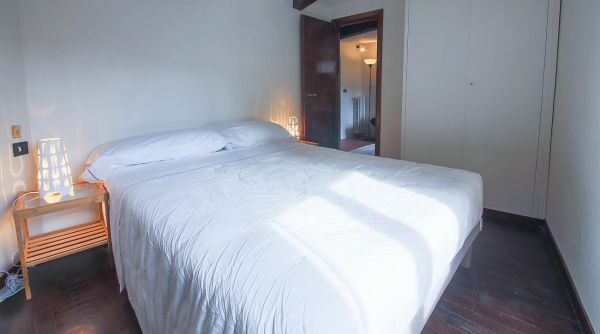 The space is also bright since the living room and bedroom have windows that face the main street outside. 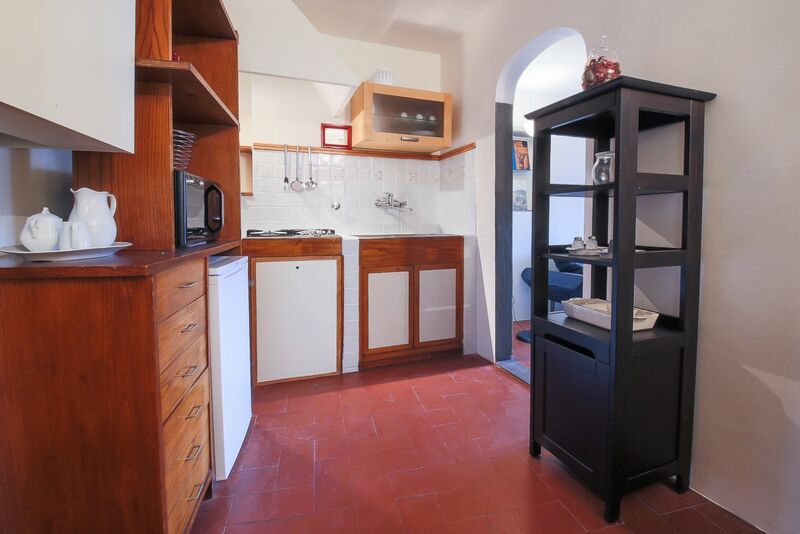 As you walk into the property, you find yourself in the kitchen/dining room area. 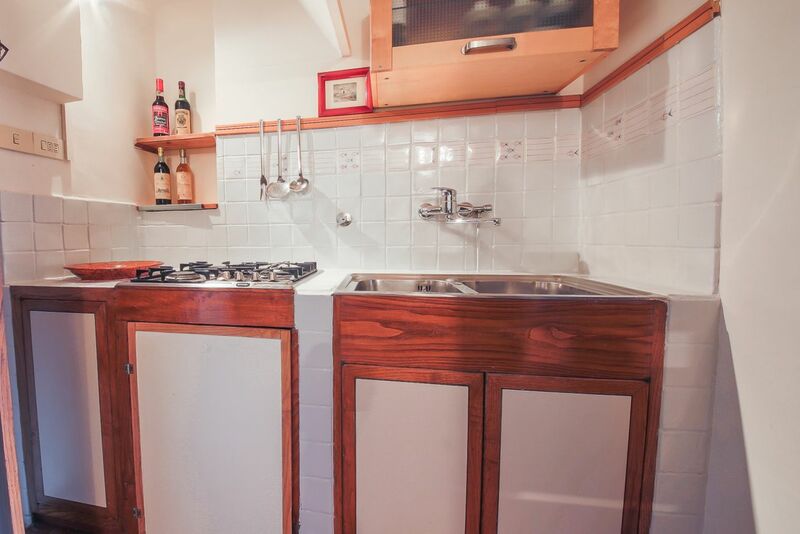 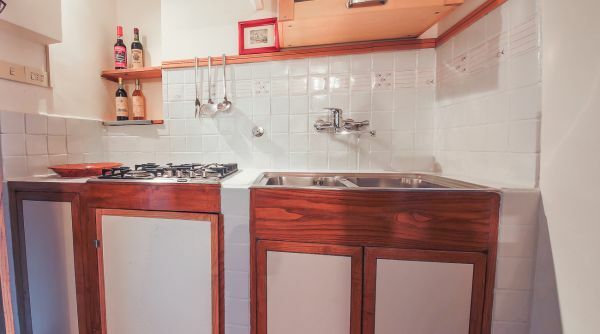 The kitchen is comfortable and equipped with a mini fridge, a stovetop and a microwave oven. 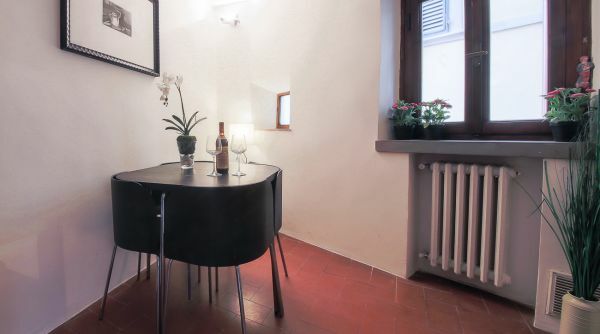 There is also a dining room table for 4. 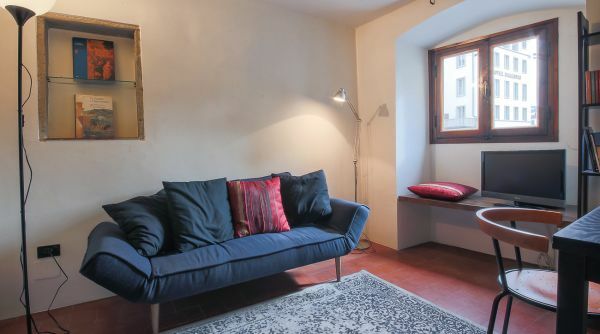 Despite its modest size, the living room has a nice cosy feeling to it and is thought out to guarantee comfort for guests. 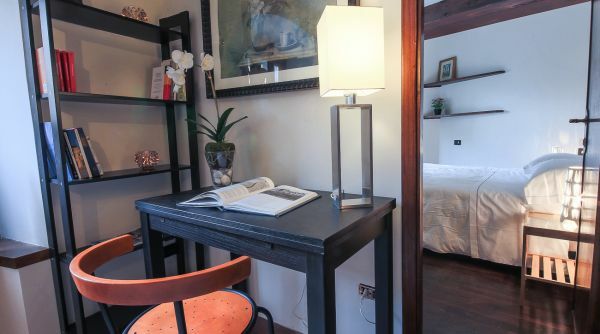 There is also a small study area with a desk and chair, which can be great for business travellers, or any guest that needs to have a work space during their trip. 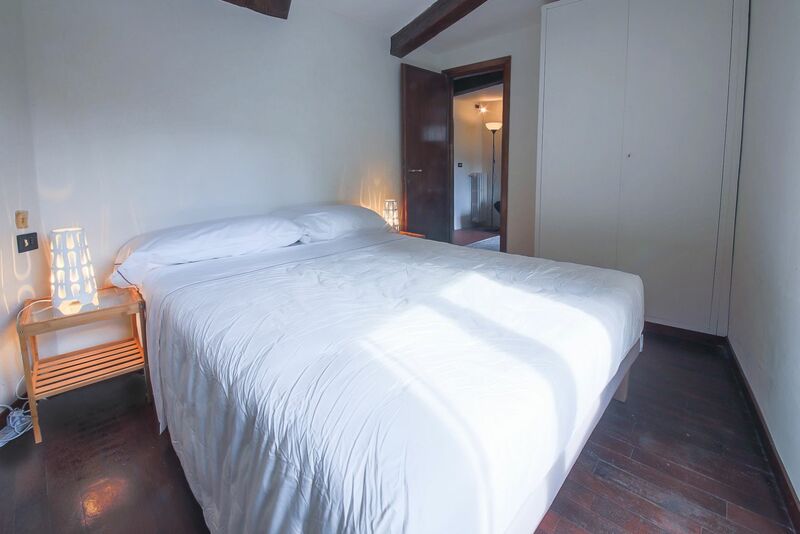 The bedroom is peaceful and relaxing. 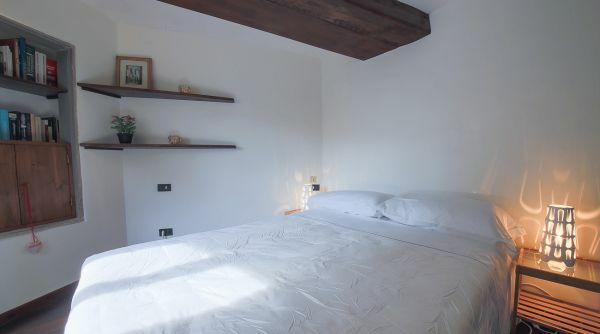 It has a comfortable double bed, spacious closet and AC. 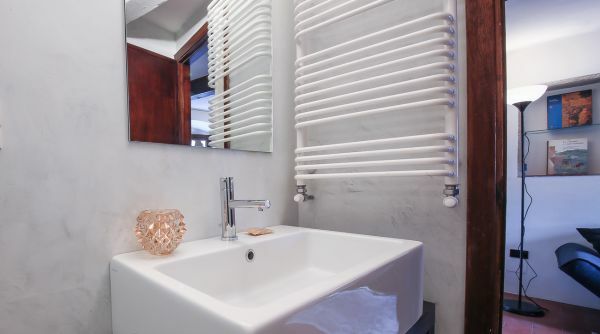 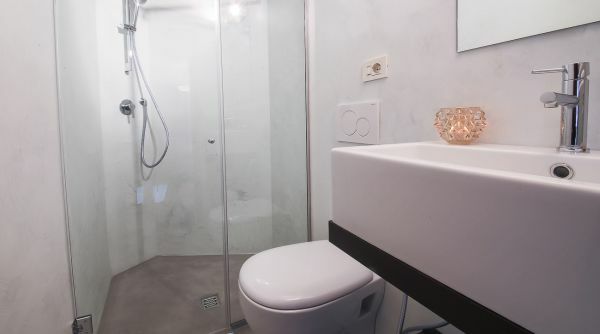 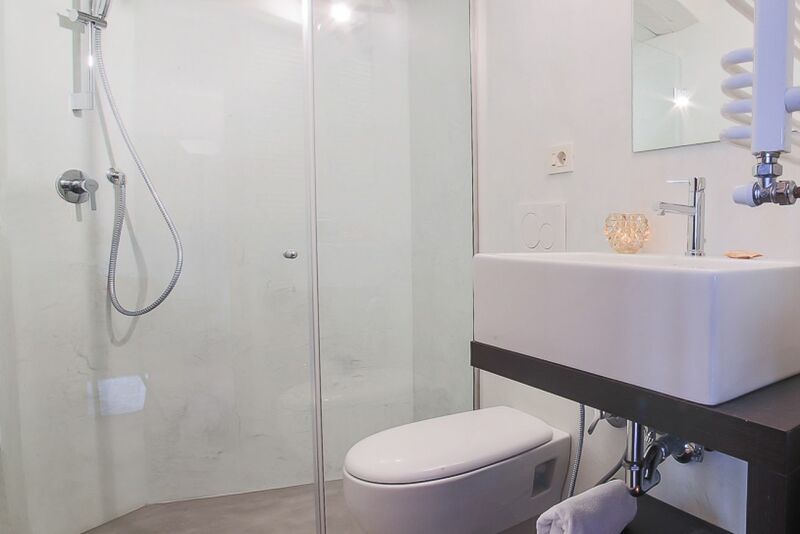 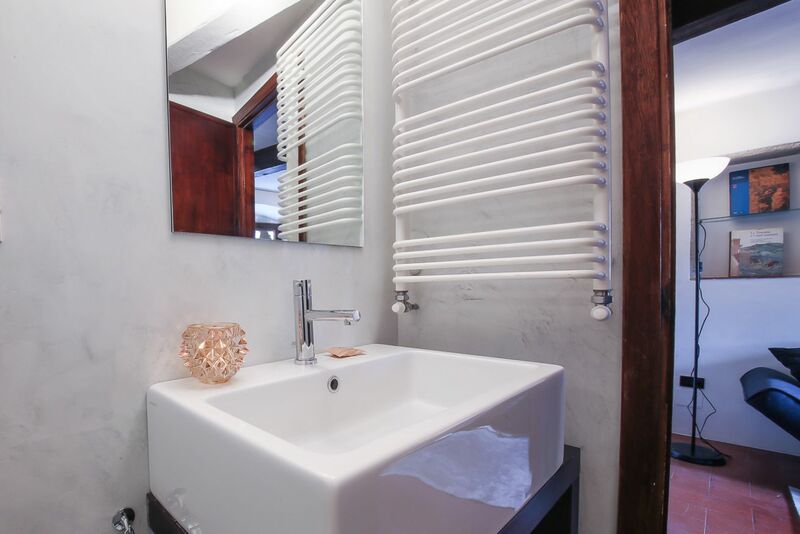 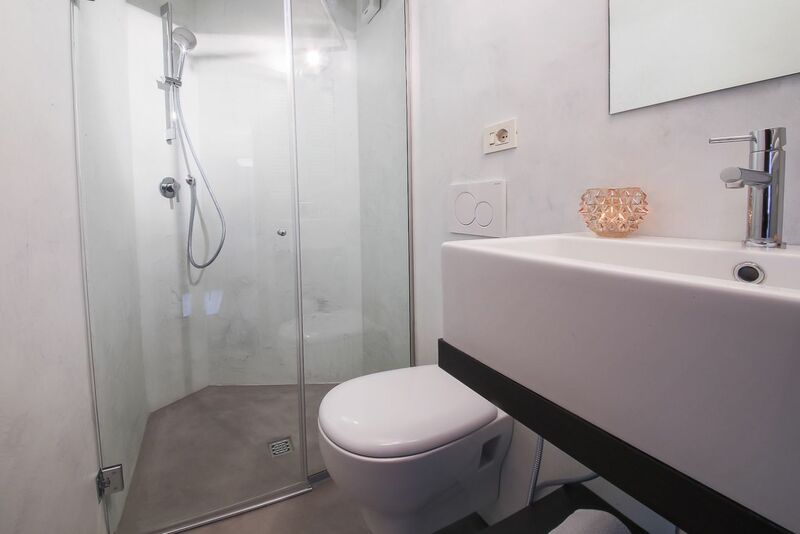 The bathroom is completely renovated and has a fresh clean look, with a glass shower.